I'm having a part-time vegetarian moment right now. I'm yet to give up beef lasagne (I make the best lasagne), pate (delicious at any time of the day) or my charcuteries (never not a good idea). But, I have significantly reduced my meat in take, particularly where it doesn't enhance a meal. 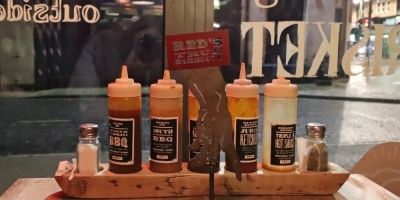 All that being said, the ultimate in meat is Red's. I can smell the restaurant a mile off and momentarily turn into a cartoon dog as I follow the waves of sweet barbecue meat. 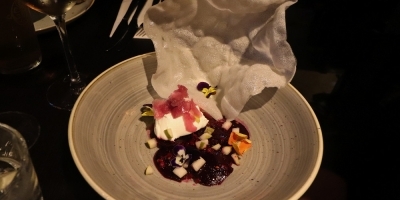 Second best to the restaurant itself is a successful recreation at home. Their meal kits have such a potency of flavour that even the most amateur of cooks can't really mess this one up. Everything you need, bar the meat, all in one little box. Since I'm on this veggie kick at the moment and since Red's - unsurprisingly - don't have much in the way of veggie dishes, I figured I'd try and get that sweet Red's flavour without a hunk of pork to caress lovingly with meat rub. 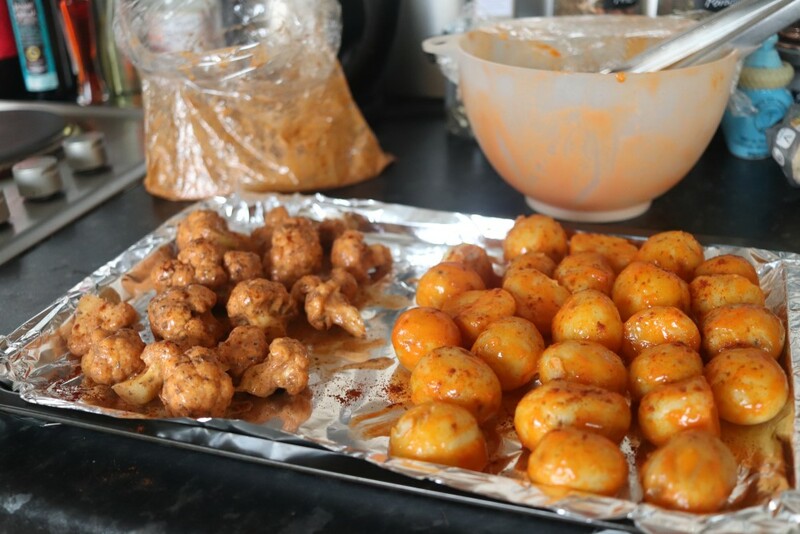 So, for the vegetarian barbecue food tonight, we're going for; spiced cauliflower and hot sauce potatoes. 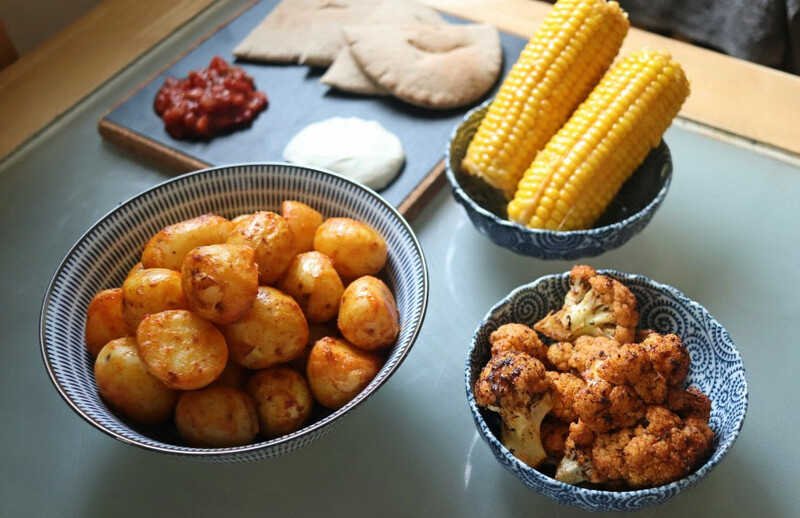 Two really easy vegetarian dishes that give you a hit of Red's flavour, without getting knee deep in meat. 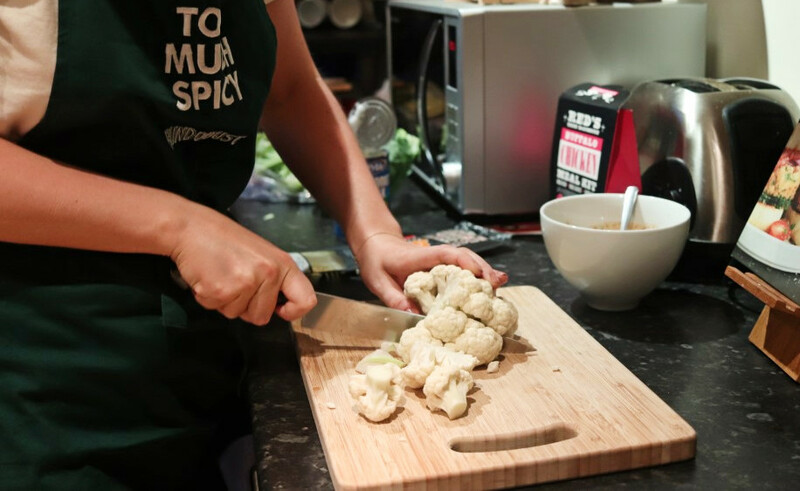 For the prep, slice the cauliflower into small florets and discard the stalk. Put all of the florets into the oven bag. 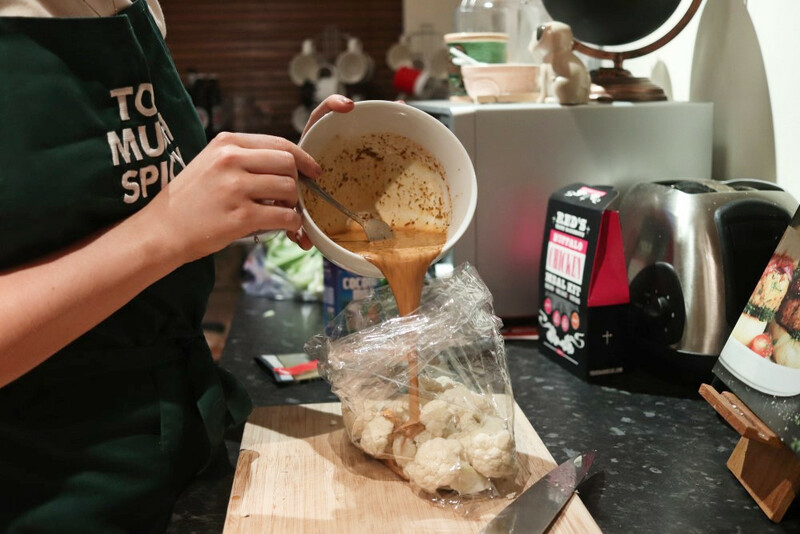 To make the marinade, put the entire sachet of rub into a bowl and gradually add all of the coconut milk, mixing together as you go. 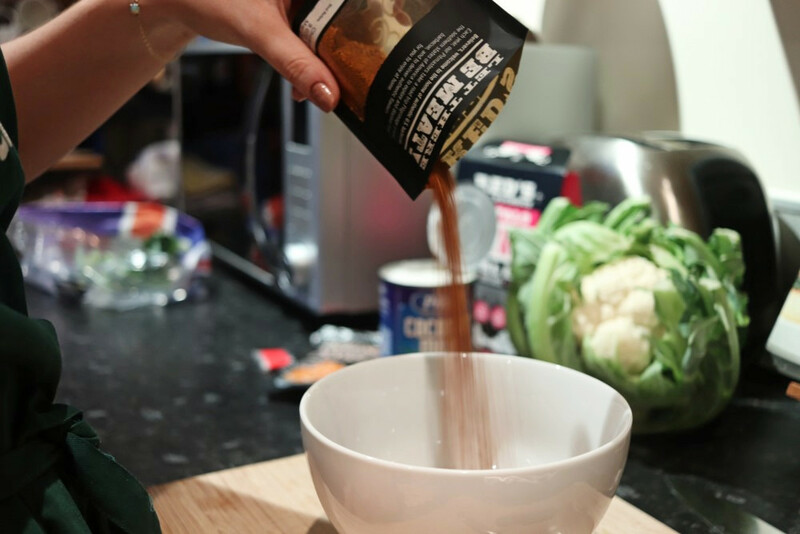 Once combined, pour the mixture into the oven bag. 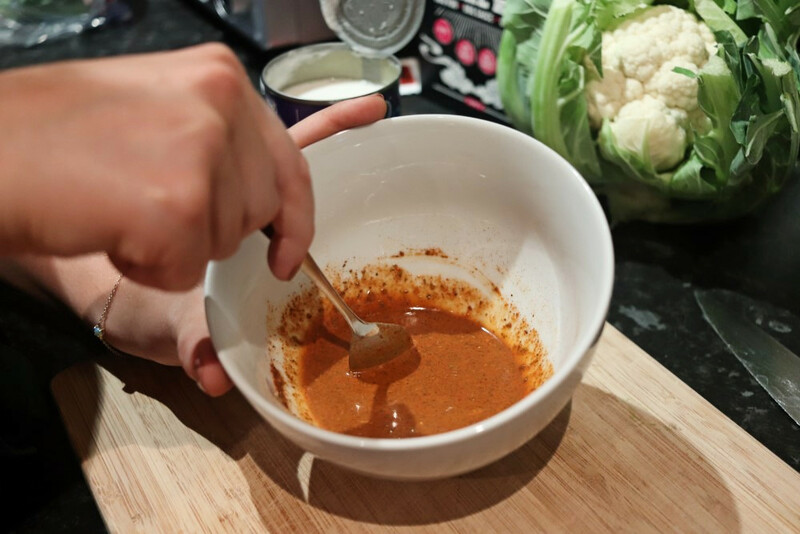 Make sure all of the cauliflower is completely covered, jiggling the cauliflower through the mixture. Smush all of the air out of the bag then seal with the tag and put in the fridge. 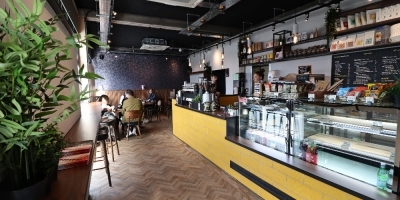 Ideally leave overnight, or at minimum 2-3 hours, to ensure all that flavour infuses. 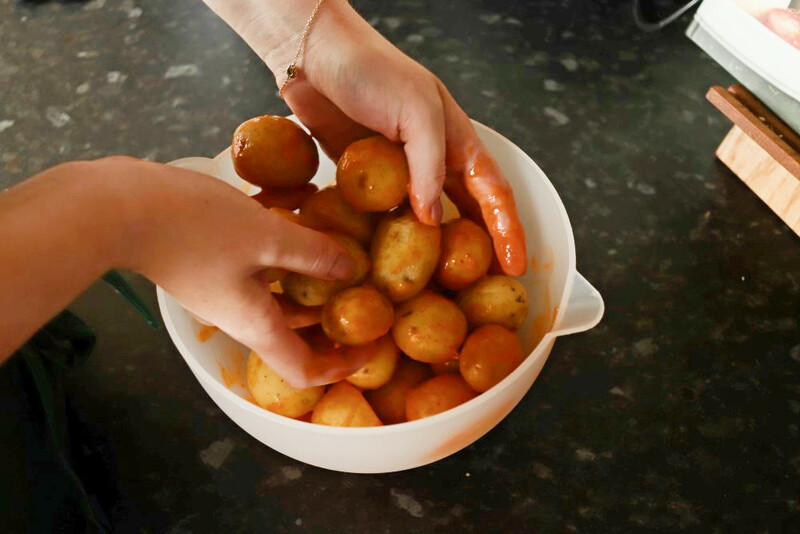 Once you're ready to cook, line an oven tray with foil (because who enjoys washing a tray with sauce cooked into it). 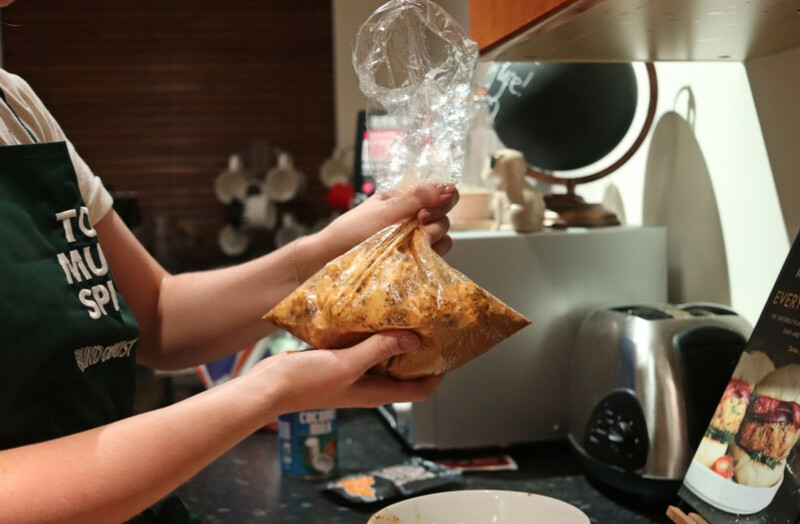 Tip the bag out onto the tray, using as much of the sauce as you can get out. Cook in the oven at 200° for 20 mins, or until tender and serve. To prepare, parboil your potatoes and leave to cool. 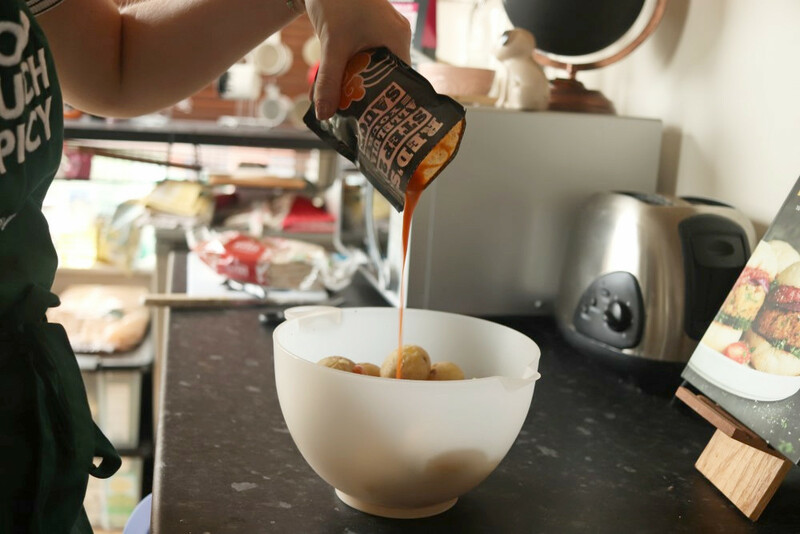 Once cooled, put into a bowl and pour over the entire sachet of the Red's buffalo chicken hot sauce. 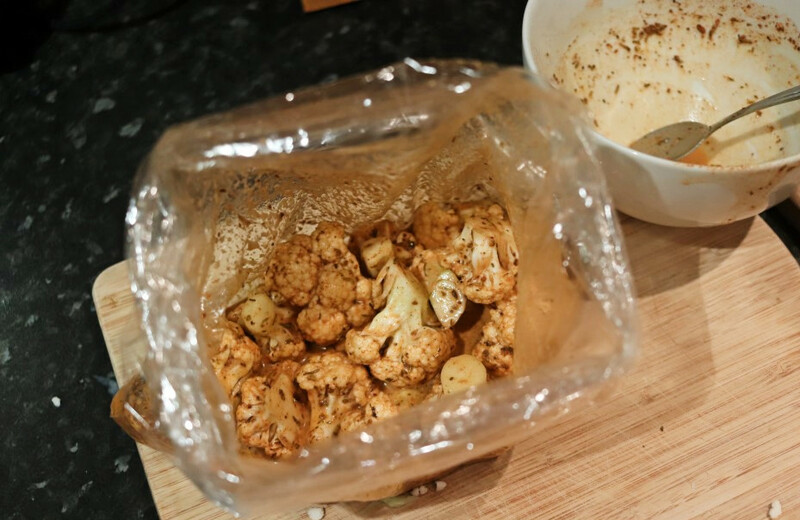 Toss the potatoes until well coated, then pour out onto an oven tray lined with foil (if you're making with the spiced cauliflower, split the tray between the two). 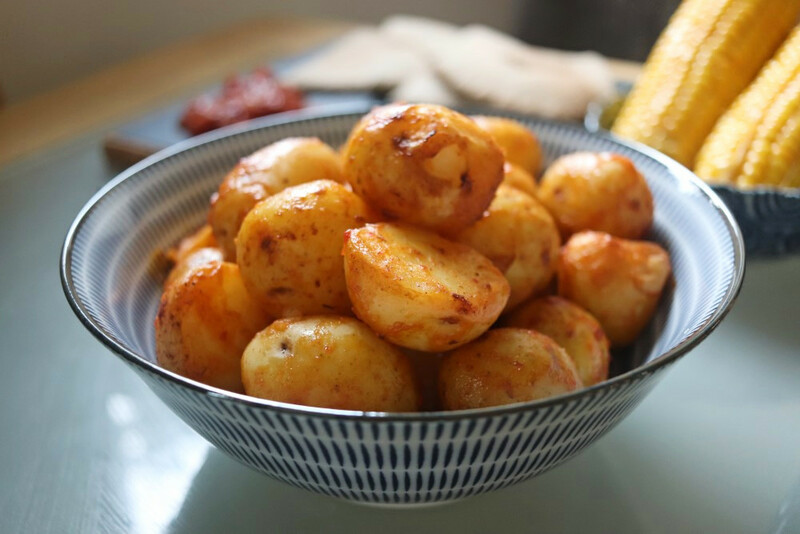 Sprinkle the cayenne pepper and sea salt over the potatoes, then cook in the oven at 200° for 20 mins, or until tender. Time to eat! I served both of the above with buttered sweetcorn and some pitta for a picky meal. 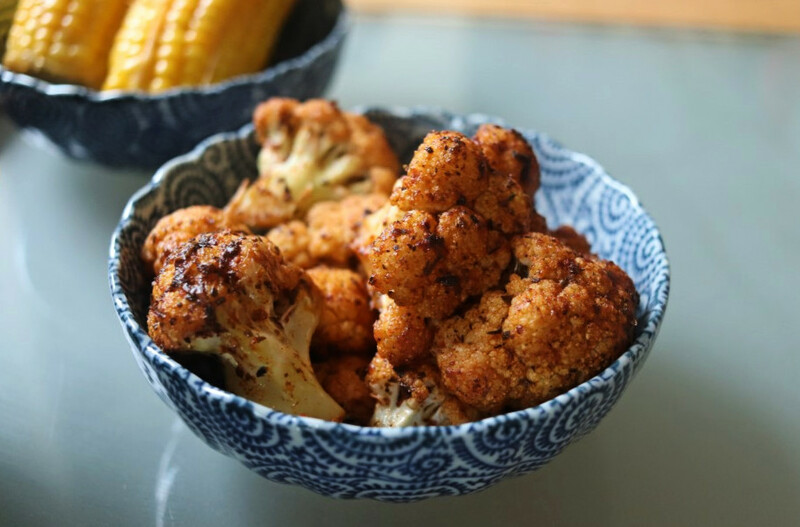 The cauliflower is one of my favourites and such minimal prep, with some advanced planning. Now, you obviously don't get the melt in your mouth meat with this flavour infused, but the flavour is still unreal. If you're a part time veggie too, serve on the side of the meat and get the full Red's experience. Red's meal kits provided free of charge.